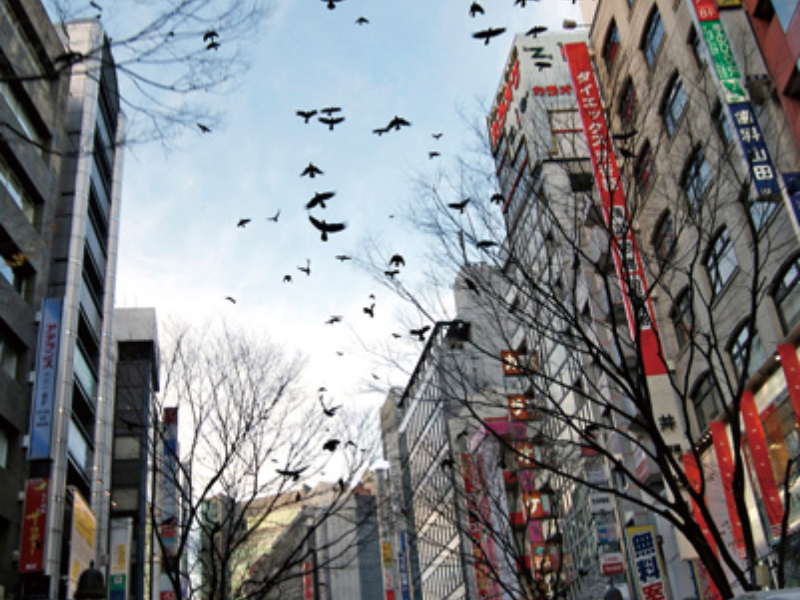 東京はじめ日本各地の街に生息するカラスたちは、スーパーラット同様に、駆除への抵抗と人間が出すゴミの栄養によって非常にクレバーに進化している。この作品は、捕まった仲間を助けようと集まる彼らの仲間意識を利用した、剥製と音声を使ったゲリラアクションだ。2013年には、福島の避難区域で捨てられた家畜などを餌に増殖したカラスたちを、ゾーンの外に導き出して再制作した。 Crows that infest all over Japan including Tokyo has been evolving themselves as clever as Super Rats, benefitting nutrition from food waste and becoming smarter to avoid being exterminated. 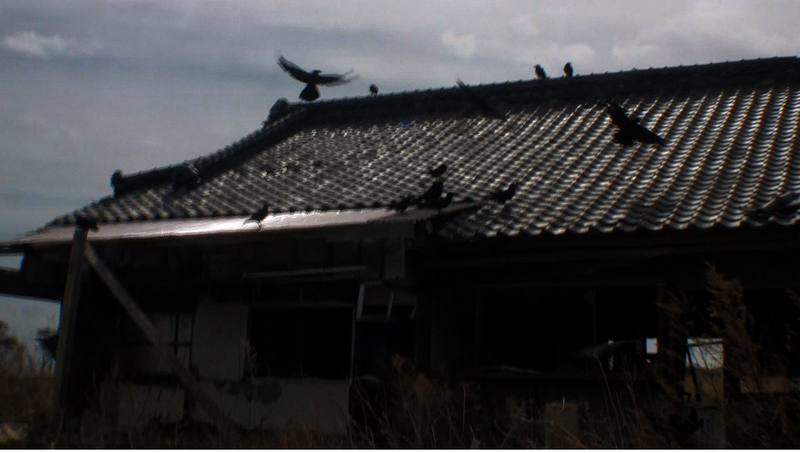 In the films Chim↑Pom assembling crows from all quarters, using a stuffed crow and the recorded call crows make to summon others for help. 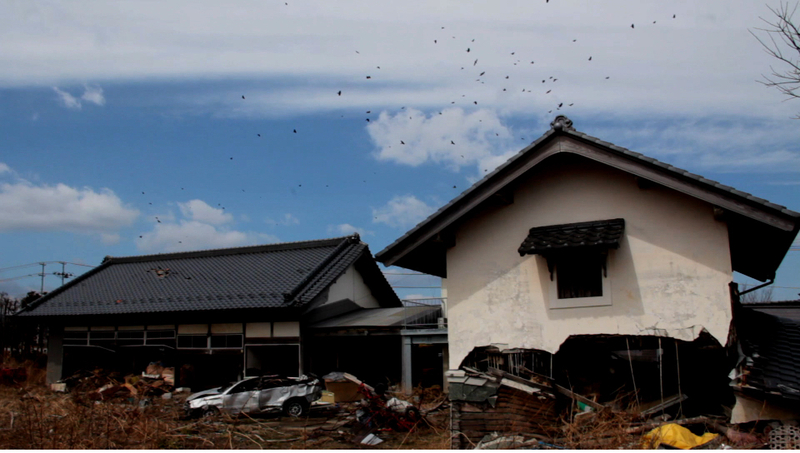 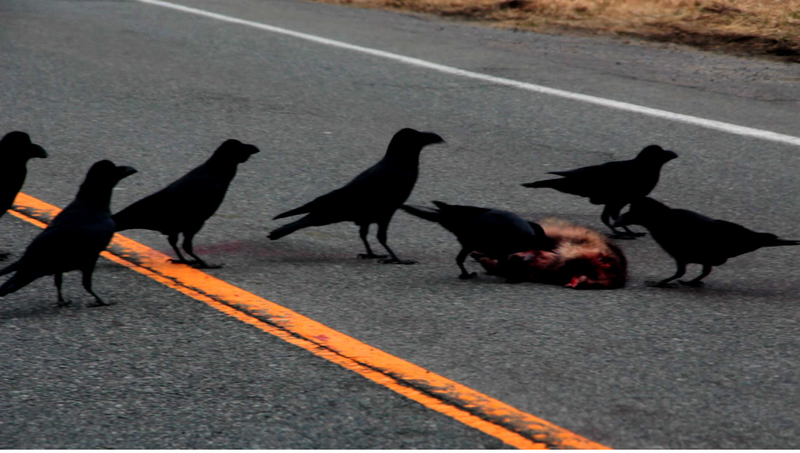 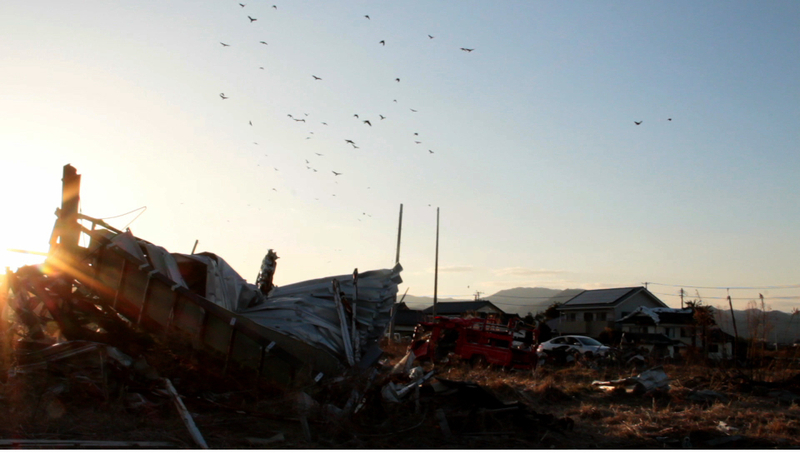 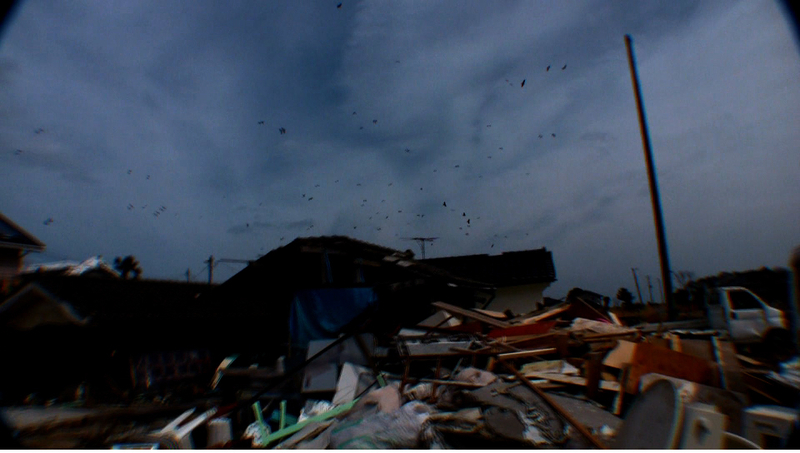 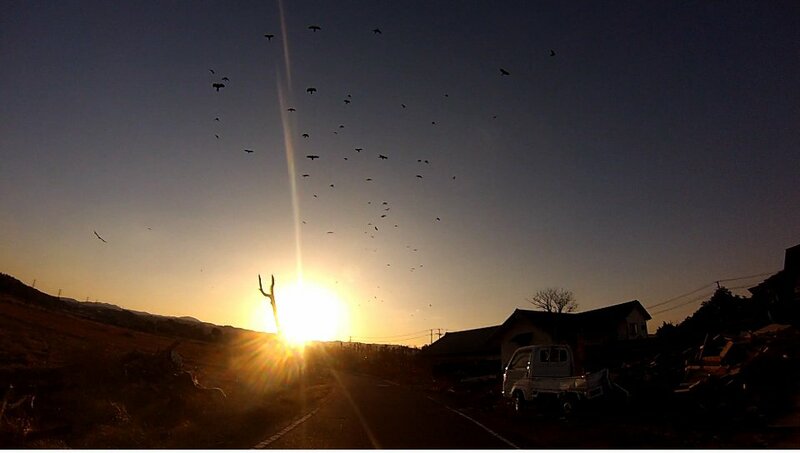 In 2013, Chim↑Pom re-appropriate the idea again and assembled crows proliferated whilst feeding on abandoned livestock in exclusion zone in Fukushima and shepherded them out of the zone. 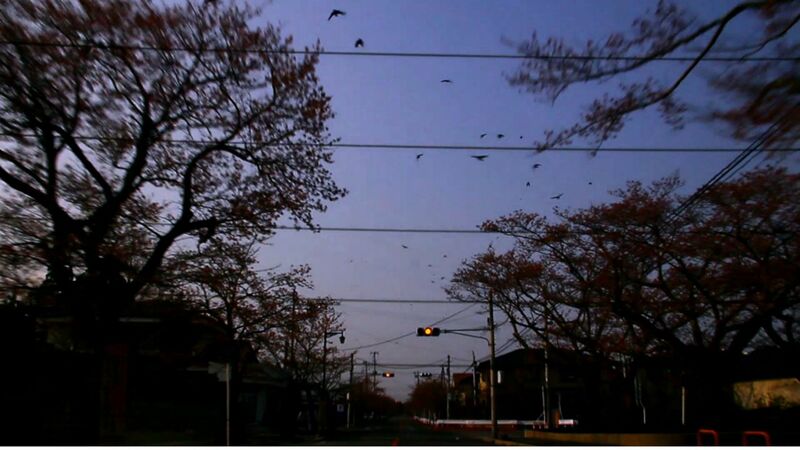 2008年に都内各所で行なわれた映像シリーズの2013年バージョン。封鎖が解かれながらも無人の街となった福島県の元避難区域、太陽の塔の背面・黒い太陽、渋谷などを収録。 2013 version for the video series of actions made in various places in Tokyo, since 2008. 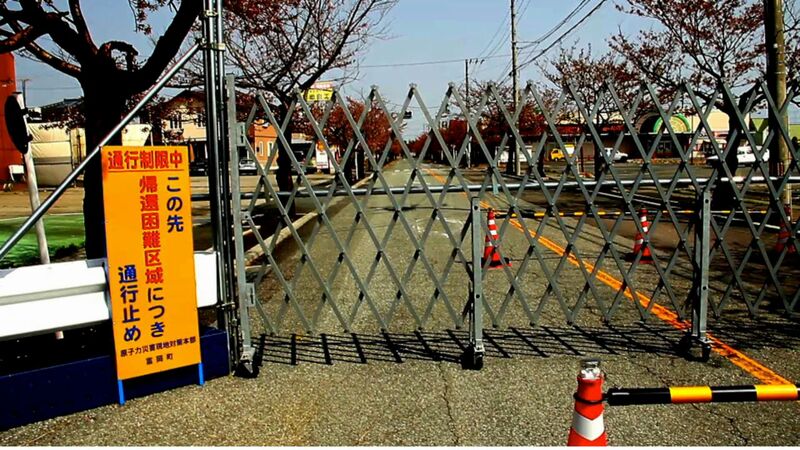 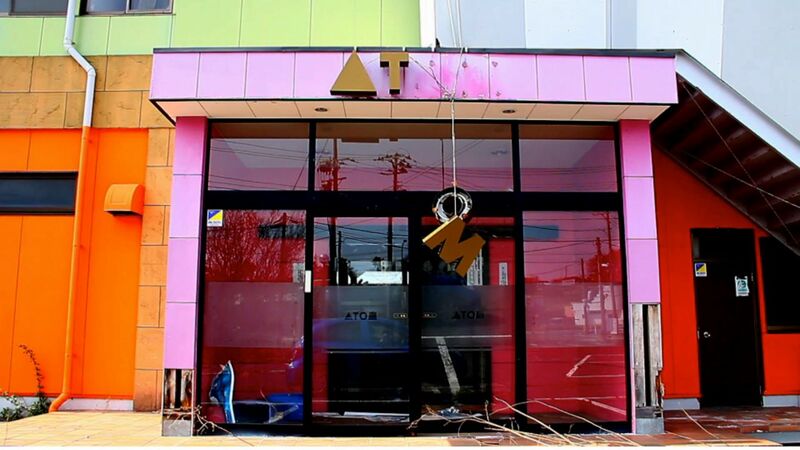 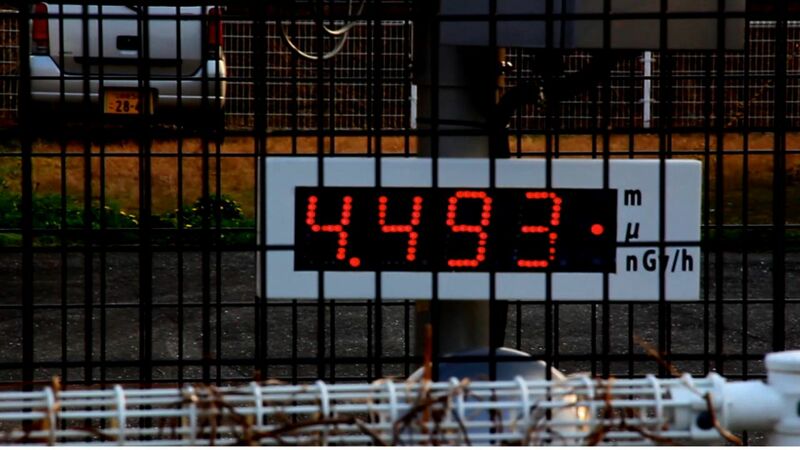 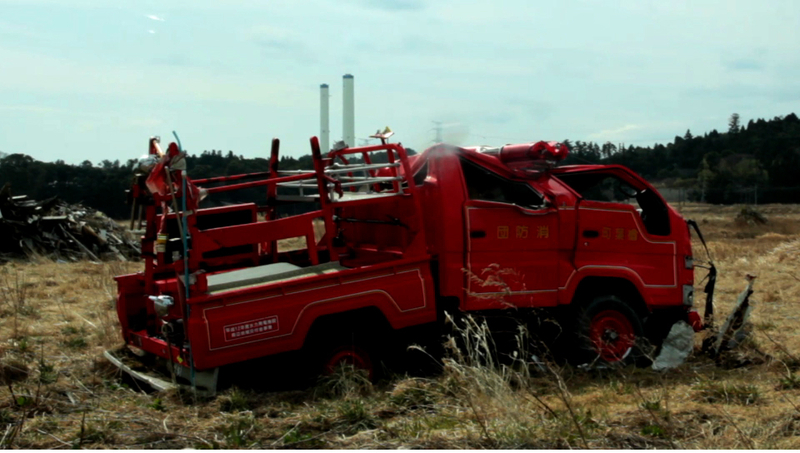 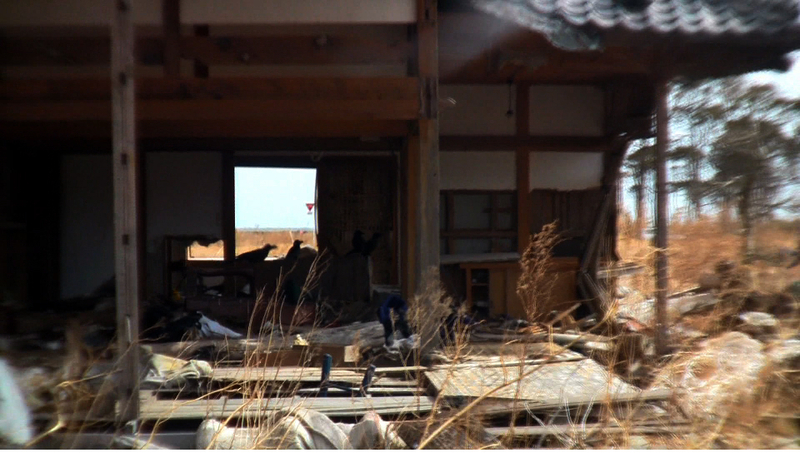 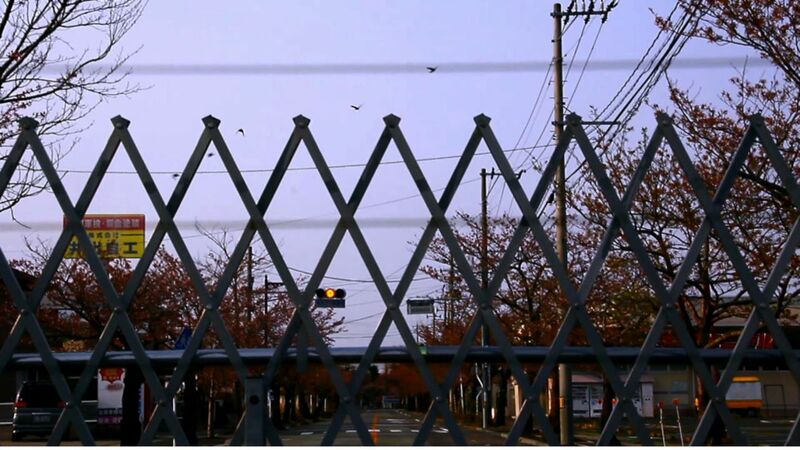 In addition to footage taken in the ex-evacuation zone in Fukushima, which has been free to enter but still uninhabited, this video also includes footages of the rear side of the Tower of the Sun, Shibuya, and the likes. 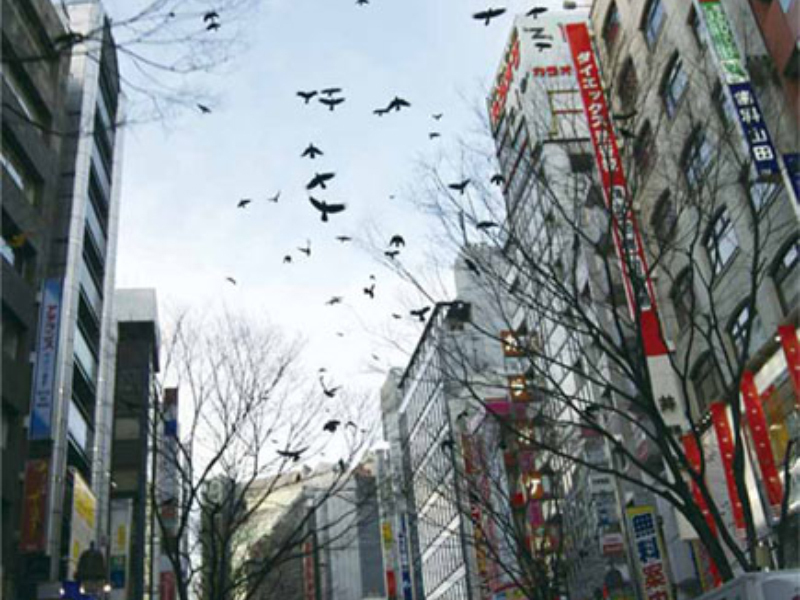 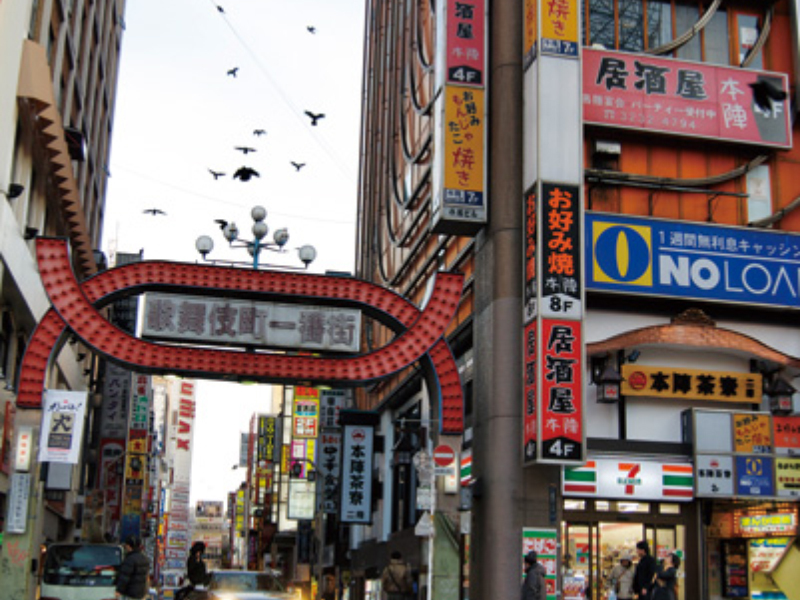 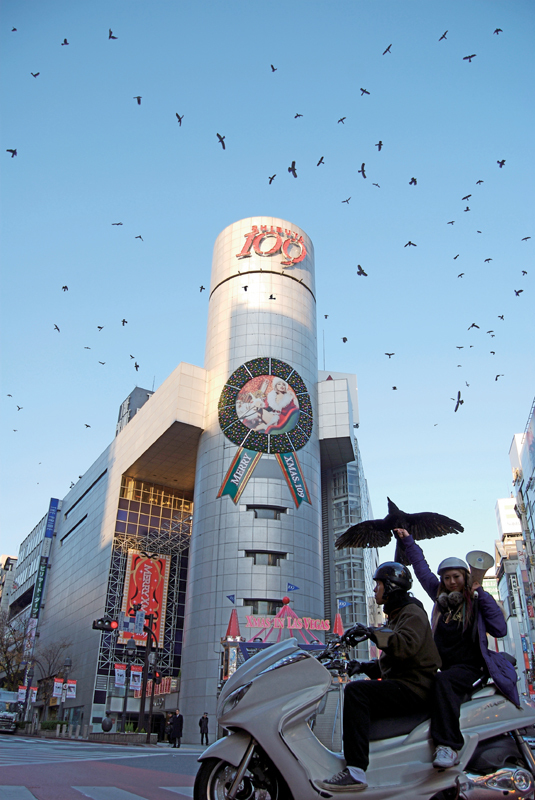 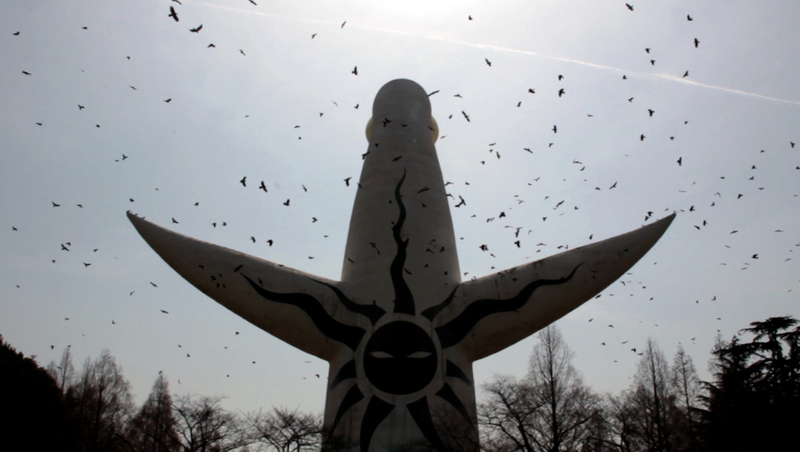 東京に増殖したカラスたちを、東京の名所上 空に集める映像・写真作品。公園などで剥製を使って仲間をおびき寄せ、その際に録音した「仲間を呼ぶ」鳴き声を拡声器で流しながら、四方八方からたくさんのカラスを呼び集める。さらに、飛ぶスピードに合わせて車やバイクなどでカラスを牽引しながら集め回り、目的地まで走った。東京の名所各地で、カラスとともに記念撮影された写真は、まとめて東京名物のポストカードセットとして一般販売した。 Videos and photos of Chim↑Pom gathering the ever-proliferating crows over Tokyo’s landmarks. 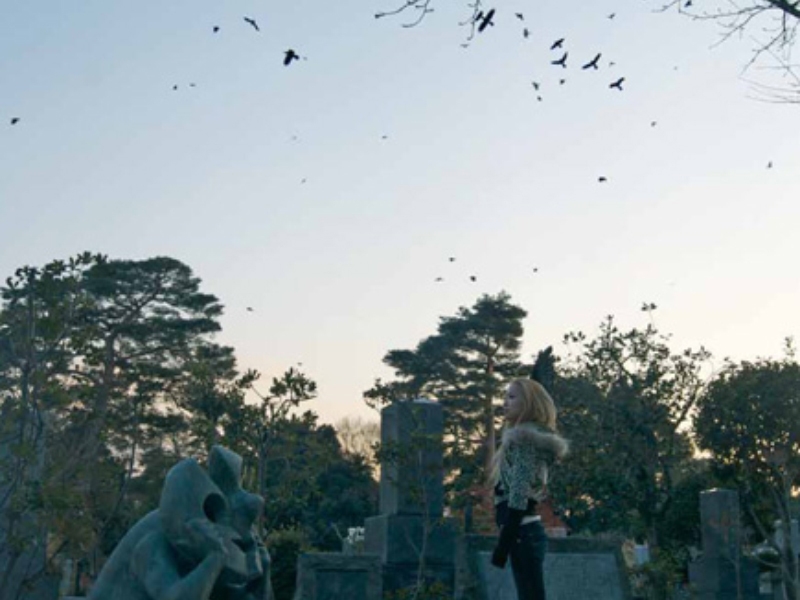 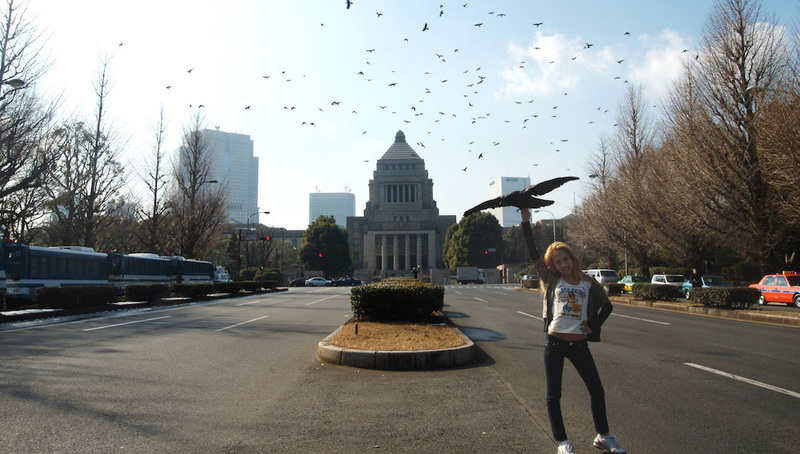 In order to assemble crows from all quarters, Chim↑Pom walked around in parks with a stuffed crow and a megaphone amplifying the sound crows make to call others. 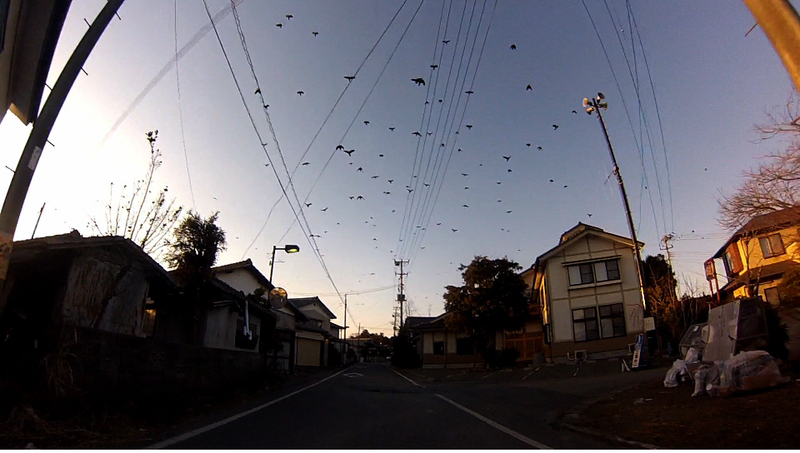 Also a car or motorcycle was used to drive together with crows flying above, increasing their number on the way to each destination. 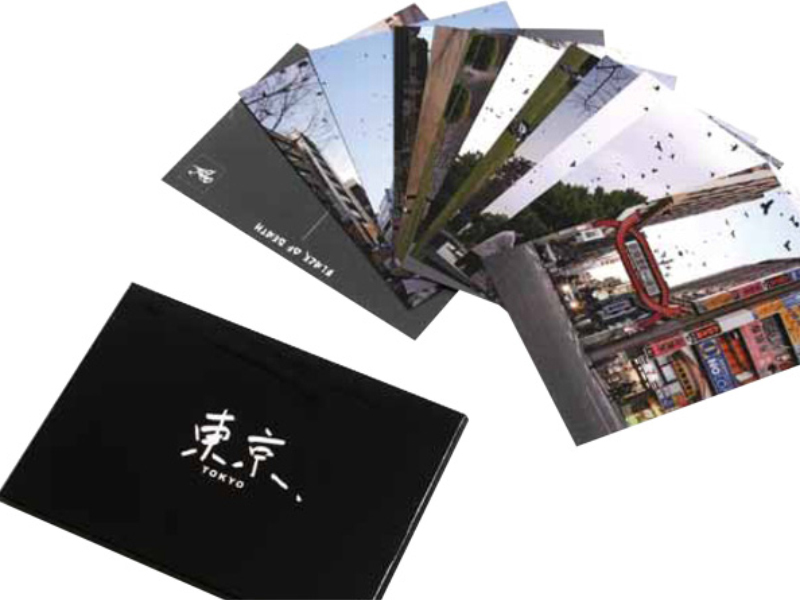 Photos taken at Tokyo’s landmarks were later packaged as a Tokyo souvenir postcard set.